I have several apps from MyFirstApp.com and have enjoyed using them. 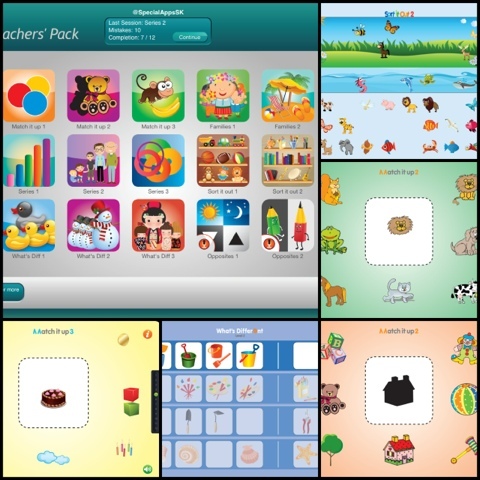 Teacher’s Pack contains 15 apps that focus on early learning skills like logic, simple sequencing, part to whole concepts, opposites, sorting, association and categorization skills. The activities challenge the child to think about concepts such as size, color, number and type of object as they determine what belongs, what doesn’t belong or what comes first in the sequence etc., while practicing fine motor and visual discrimination skills. One of my favorite features of the app is its use of distinctly different tones to let the user know if they choose a correct answer, or an incorrect one. Play is also errorless-in other words if you don’t get the answer correct it will simply make a soft tone indicating a mistake and then return the piece that you chose to its original spot. The user can keep trying until the correct answer is matched up. There is no “failure” as the child keeps working until he/she is successful. There also is no negative reinforcement through labeling of incorrect choices- instead a visual cue of the object moving to its original spot is used. When a set has been completed a smiley face is displayed on the screen, and there is cheering. Two of the apps allow voice recordings (Opposites 1 and 2) – the written labels can be set to a variety of languages too. Currently you can change the written label as well by going into your iPad to Settings > General > International> Language , and choosing the language you want to display. Update: The developer is looking into creating a more flexible setting for changing languages within the app! There are a couple advantages to having the teachers pack instead of purchasing each app individually. First of all, it is cheaper, if you plan on buying them all. I also like having the Teacher’s Pack because it’s all in one place, but even better, you can add user profiles and keep data on performance for different students. For schools, the Teacher’s Pack allows access to apps that are usually off limits due to the in-app purchase model used in the individual apps, and this allows schools to get it at an additional discount through volume purchasing. Data for whichever user you have logged in will show on the top bar -it will show you the last session for that student, the title of the app worked on, such as Series 3 or match it up 3- and the number of mistakes as well as number of tasks completed. Once a set is finished, you can see data for that set via the “View Scores” button. This button is hidden , which I appreciate, as it helps keep students out of this area – to access it you must first tap a button on the main screen three times. You can also manage users from the “Manage Users” button hidden under the main screen. I would love to see a way to backup users’ data from one device so that I can access the same information on another device. I would like a verbal label to be used after a correct response in some of the tasks, i.e “tree”, when the two halves of the tree are matched up correctly. In the “opposites” tasks you can record your own labels- this is a very useful feature, as sometimes it is not clear what concept is being represented through images alone (i.e. a lion for ‘brave’ and an ostrich for ‘coward’). There are currently 35 apps available to purchase separately- I really would love to see more added to the Teacher’s Pack, or perhaps have a second bundle with the other 20 (less data-driven) apps available. aving everything in one place is such a plus! On October 2012 we got an email from the faculty of Social Sciences at Utrecht University in Netherlands. They wrote to us that they loved our apps (we already had 32 iPad educational apps at this point) and they want to “start a training program that focuses on the improvement of executive functions (neuropsychological functions which are important in purposeful behaviour, like planning, inhibition, cognitive flexibility and working memory) with preschool children who need extra attention in regular classrooms as they have problems with behaviour regulation and/or concentration“. They said that they find our apps suitable for their needs yet our apps are missing a monitoring tool for the researchers to track the children’s progress. Correspondingly, we got many emails from school teachers and district coordinators that find our apps useful for their work with kids. Yet, since they are not allowed to use In-App-Purchasing for getting the full version they can use only the first two levels which are free. As a result, they asked us to consider to release paid versions of our apps (without In-App-Purchasing). These events made us thinking of creating “Teachers’ Pack”. Although, at the beginning we thought that it wouldn’t be cost effective, we were enthusiastic about the opportunity to participate in changing the way children are being taught. So, together with Utrecht University we immediately started to characterise the features they need for their research. We ended up with bundling the full versions (without In-App-Purchasing) of 15 of our bestselling apps into this “Teachers’ Pack”, adding the ability to define multiple students who are using the app, and adding the ability to track the progress of each student on each inner app. It took us 3 months to develop this app, then it was tested by Utrecht University for one more month. Finally, at the beginning of March we launched it on the Apple App-Store. The result is an app that includes many important activities which help develop cognitive skills, language skills, visual perception skills and fine motor skills among kids aged 1.5 – 5 years. In addition to the English and the Dutch languages the app also supports French, German, Italian, Japanese, Korean, Portuguese, Russian, Spanish, Swedish and Simplified Chinese. While at the beginning we thought that this app wouldn’t be cost effective, now, a few weeks after it was launched, we are amazed with its success on the App-Stores around the world. We are getting many good feedbacks from teachers, speech therapists, occupational therapists, etc. and we are so proud of being a part of a revolutionary change in the way children are being taught all over the world. This app is designed for teachers, therapists and speech pathologists. It contains the full versions (without In-App-Purchasing) of 15 of our educational games: Match it up 1, Match it up 2, Match it up 3, Families 1, Families 2, Series 1, Series 2, Series 3, Sort it out 1, Sort it out 2, What’s Diff 1, What’s Diff 2, What’s Diff 3, Opposites 1 and Opposites 2. This app includes important activities that help develop cognitive skills, language skills, visual perception skills and fine motor skills among kids aged 1.5 – 5 years. Teachers all over the world are thrilled with the progress kids have achieved by using these essential educational activities. 1. Match it up 1 – Finding the identical image out of the surrounding images and dragging it to the center. Ages 1.5+. 2. Match it up 2 – Finding the visually related image out of the surrounding images and dragging it to the center. Ages 2+. 3. 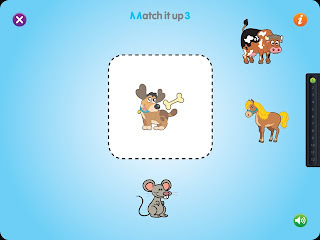 Match it up 3 – Finding the conceptually related image out of the surrounding images and dragging it to the center. Ages 2.5+. 4. Families 1 – Finding the visually related image out of the surrounding images and dragging it to the center. Ages 2+. 5. Families 2 – Finding the conceptually related image out of the surrounding images and dragging it to the center. Ages 3+. 6. Series 1 – Creating a series, by dragging each item into the correct square above, from left to right. Ages 3.5+. 7. 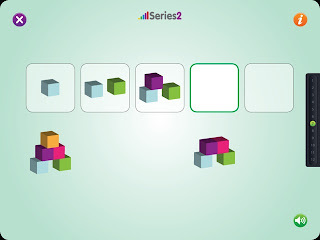 Series 2 – Creating a series, by dragging each item into the correct square above, from left to right. Ages 4+. 8. 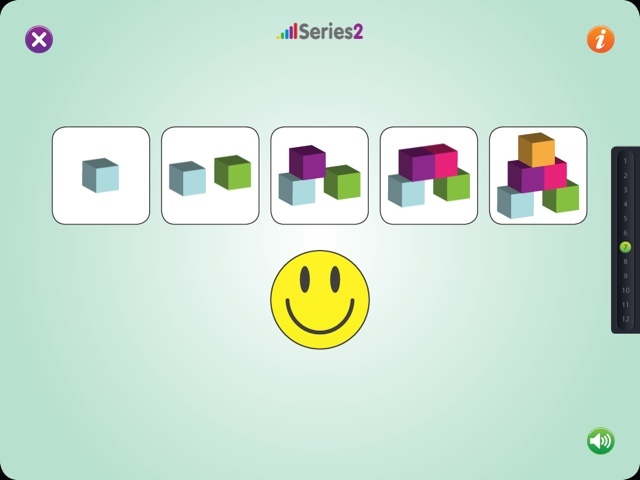 Series 3 – Creating a series, by dragging each item into the correct square above, from left to right. Ages 4.5+. 9. Sort it out 1 – Sorting out the items into the three categories by dragging each item into one of three areas in the space above. Ages 3+. 10. Sort it out 2 – Sorting out the items into the three categories by dragging each item into one of three areas in the space above. Ages 4+. 11. What’s Diff 1 – Dragging out the bold visually odd image to the blank square at the right side of the four images. Ages 3+. 12. What’s Diff 2 – Dragging out the complicated visually odd image to the blank square at the right side of the four images. Ages 3.5+. 13. What’s Diff 3 – Dragging out the conceptually odd image to the blank square at the right side of the four images. Ages 4+. 14. Opposites 1 – Matching the opposite pairs by dragging them to the centre. Ages 2+. 15. Opposites 2 – Matching the opposite pairs by dragging them to the centre. Ages 3+. This game is one of a series of educational games for kids by MyFirstApp.com. We believe that learning, playing, exploring and experimenting is what children do best. Children are fascinated with the wonderful, exciting world around them. With the touch pads revolution a whole new world of games is evolving – opening new horizons for the very young. Thus, young children can now enjoy colorful, exciting new games, helping them acquire new cognitive and fine motor skills. MyFirstApp.com helps bringing this new and enriching world to the curious little fingers of young children. Looks like a really good app for the kids!